The Federal Emergency Management Agency (FEMA) invites you to join the upcoming webinar Know Your Risk: Prepare your Organization and People for Hurricane Season on Thursday, June 22, 2017 – 2 to 3 p.m. (EDT). Both hurricanes and tropical systems have the potential to cause serious damage to coastal and inland areas. Their hazards could come in many forms including storm surge, heavy rainfall, coastal and inland flooding, high winds, and tornadoes. 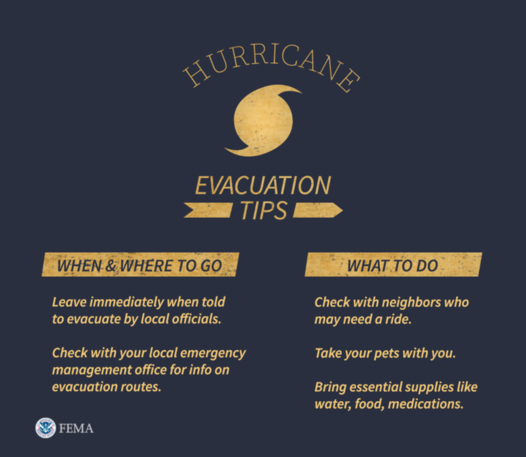 As the 2017 hurricane season begins, FEMA is committed to working with you to enhance emergency preparedness and response capabilities across the whole community. We thank you and look forward to your participation! Missed the "Protecting Your Organization" webinar held on June 13, 2017? We have the recordings here. Thank you for your interest in the “Protecting Your Organization: Resources, Partners and Tips to Help Keep Your Office, House of Worship, or Community Center Safe” webinar. Below are recordings for the live webinar and segmented pre-recordings from all of our partners. 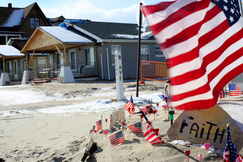 You can access many of the resources and information referenced in this webinar at www.fema.gov/faith-resources. If you seeking information on the FY 2017 Non-Profit Security Grant you can find it here: Fiscal Year (FY) 2017 Nonprofit Security Grant Program (NSGP) Notice of Funding Opportunity (NOFO).